Honest, Transparent service! Your Trusted Edmonton Gold Buyer! * Everything Is Tested Before Your Eyes! * See The Weight of your own gold! * No obligation to sell! 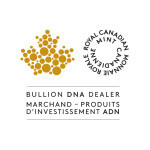 Aaron Buys Gold Ltd is Edmonton’s #1 leading BBB accredited gold buyer, coin store , Jewelry Buyer and Gold & Silver Bullion dealer and Gold Exchange. Because we use brand new industry X-Ray Testing Technology and our buying and selling is based on live Gold, Silver, Platinum and Palladium market pricing, we can deliver you more honest, accurate payouts and product pricing than other dealers. We use the current gold price updated every 15 minutes not just once a day or even once a week so you always get the most accurate price buying or selling precious metals. Buy, sell & trade, we are a live price dealer, up to the minute prices. Want to sell your gold in the Edmonton Area? Visit our Gold Buying Retail Store, and we will pay you cash for your gold. At Our Edmonton Area Retail store in Sherwood Park we buy almost anything gold or silver, platinum or palladium including jewelry, bullion, coins, bars, flatware and much more. We also deal in coins, diamonds, old currency, mint products and collectibles. Aaron Buys Gold uses live market pricing both when selling and buying gold, silver, platinum and palladium. These prices are based on the world spot prices of metals and are updated every 15 minutes. Other buyers and sellers may be using data that’s one day or even one week old. First Name Sign up for our email list today! Last Name Exclusive Deals and Market News for Members Only! - Everything Is Tested Before Your Eyes! - See The Weight of your own gold! - No obligation to sell!